Hello, readers, I am back with one other interesting cricket story of two all-time greatest Indian Cricket Legends. Let's discuss some interesting facts like The relationship between Sachin Tendulkar and Dhoni, How Sachin Tendulkar treats Dhoni, How Dhoni treats Sachin Tendulkar and Why Sachin Tendulkar desired Dhoni as an Indian team captain. We all know Sachin Tendulkar is the god of cricket. Whenever cricket comes into mind then immediately Sachin Tendulkar will be reminded, that much impact Sachin Tendulkar made as a cricketer on Cricket. In the same way, we all know that MS Dhoni is the greatest captain and wicketkeeper in cricket history. Whenever terms like a captain and wicketkeeper come into mind then immediately Dhoni will be reminded, that much impact Dhoni made as a captain and wicketkeeper on Cricket. Both legends have a unique impact on cricket that gives respect to not only them but also for the whole Indian nation. There was a biopic movie made on both cricketers, where Dhoni's movie was biography and Sachin's movie was documentary. Now come to some interesting facts. Lets Discuss!!!! There was always a great relationship between both Sachin Tendulkar and Dhoni. If Sachin is like a teacher then Dhoni is like his student. If Sachin is like a god then Dhoni is like his devotee. If Sachin is like a Lord Krishna then Dhoni is like Arjuna. If Sachin is like Lord Rama then Dhoni is like Hanuman. This much great relationship exists between them and they love each other very much and respect each other very well. How one teacher treats his student??????? Nothing but with love and affection. The teacher will always want to share all his knowledge and skills with his student. In this same way, Sachin shared so many batting tips and skills with Dhoni and helped him always in his life. I can explain now How Sachin Tendulkar treats Dhoni in Sachin own words below. Sachin: "From the very first time we met, Mahi has given me complete respect. Maybe he reminds me a bit of my father, be it success or failure, Dhoni is always calm as my father always wanted all of us to be." This words of Sachin Tendulkar completely shows us How Sachin Tendulkar treats Dhoni. How one student treats his teacher??????? Nothing but with great respect and love. In Dhoni biopic only we saw one incident that when Dhoni was a child he asked his mother to buy Sachin wall poster to stick on the wall in his house. This incident only tells us how much Dhoni loves and respect Sachin Tendulkar. I can explain now How Dhoni treats Sachin Tendulkar in Dhoni own words below. Dhoni: "When we were growing up, we used to watch Sachin Tendulkar, he was like God to all of us. He had that aura around him. Every time he turned on the field, he wanted to improve as a cricketer. I felt he was an Ideal person to look up to and that is what he did." This words of Sachin Tendulkar completely shows us How Dhoni treats Sachin Tendulkar. Now come to the final and important fact of my post. It was the time back in 2007 where Rahul Dravid was captain of Indian team. Indian team match results were not good and the team was facing so many defeats including 2007 world cup defeat by Bangladesh. Then Dravid wanted to give up captaincy. The question came up to every mind "Who will be next captain!!!!!!!". So many great cricketers and experts started suggesting some cricketers names. Some cricketers and experts were started suggesting Dhoni's name. Among those experts and cricketers, Sachin was the main and important person who desired and backed Dhoni as skipper. That's why some of the credit for Dhoni's success as captain would go straight away into Sachin's account. But the big question is "How Sachin found leadership skills in Dhoni!!!!!!". Ok, let's know it in below from Sachin own words. Sachin: "Whenever I used to be fielding in the slips, I would be discussing with him, constantly, about the fielding positions. I would say my opinions and ask him what he thought about them. I was during these interactions that I picked up on his leadership ability." These great words of Sachin Tendulkar will explain how Sachin found leadership qualities in Dhoni and how much he believed him. I previously only told Sachin is like a teacher and Dhoni is a like a student. So the teacher always knows the strengths and abilities of his student. In this same way, Sachin found out Dhoni's skills. I also previously told that If Sachin is like Lord Rama and then Dhoni is like Hanuman. 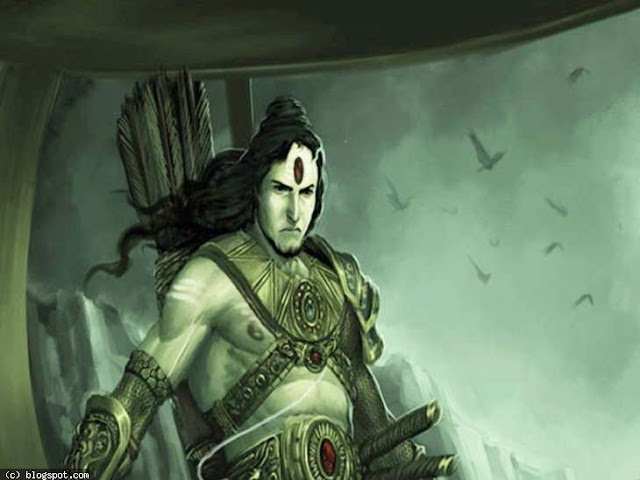 In the Ramayana epic Lord Rama found out strengths and capability of Hanuman among all Vanaras and appointed him to go to Lanka and find out Sita. In the same way, Sachin found out Dhoni's strengths and gave him the greatest work as captaincy to captain the best 11 players came out of 1,354,051,854 people in India to lead Indian cricket in best success path. Dhoni led the team to great levels and successes and retired as the greatest captain. This is a great relationship between Sachin and Dhoni and how much they love and respect each other. The moral we have to learn from this article is to find out the great skills and strengths of our friends and relatives and encourage them to reach great levels and make the Indian nation proud.